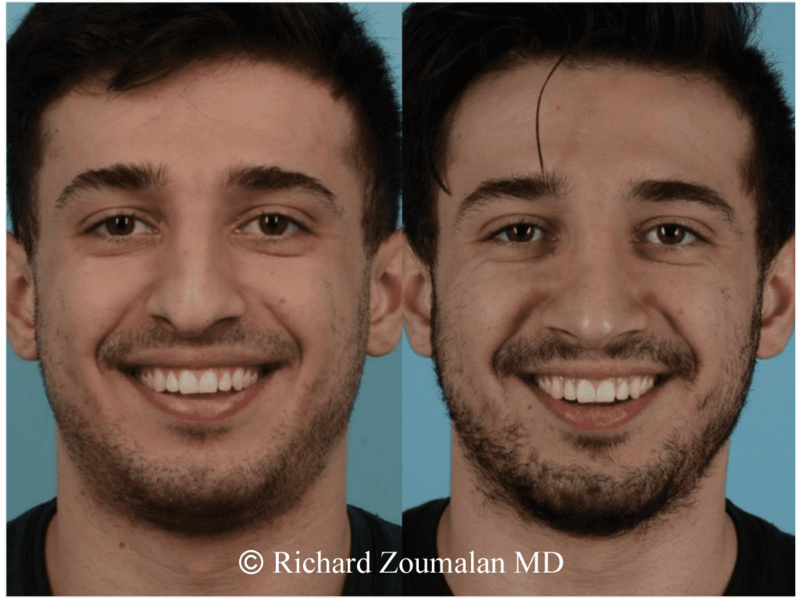 Many of Dr. Zoumalan patients seek his surgical expertise because of his appreciation and understanding of the most appropriate Rhinoplasty for each individual dependent upon their specific facial features. Often, ethnicity and genetically specific features play a part in the development of his customized surgical plan. 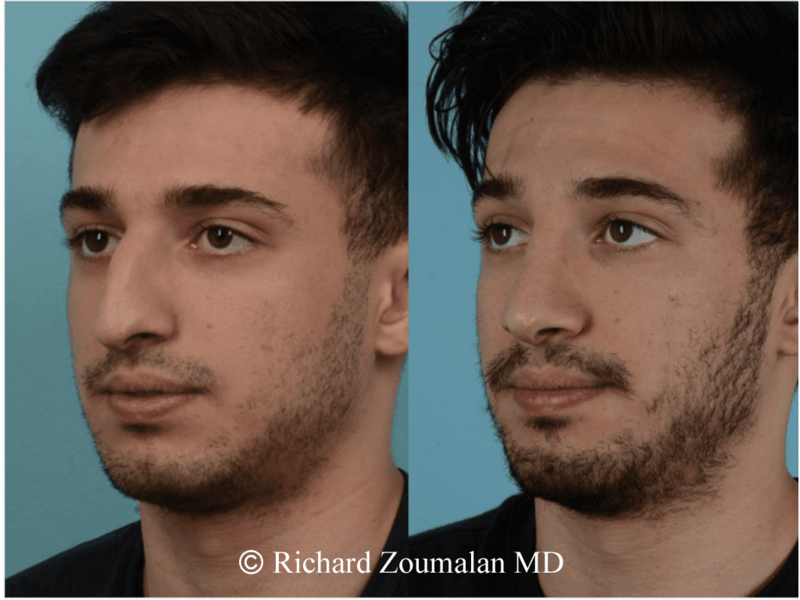 Many of Dr. Zoumalan’s Middle-Eastern patients appreciate having a surgeon who through experience and research entirely understand the Middle-Eastern nose. Middle-Eastern Noses are unique in their shape and form. The noses are often more droopy, longer, and have a profile with significant bump. This shows up as a convexity on their profile. Often Middle-Eastern noses have a weak tip that droops with smiling or any activity. The nose can continue to droop with age which can cause the nose to look longer. 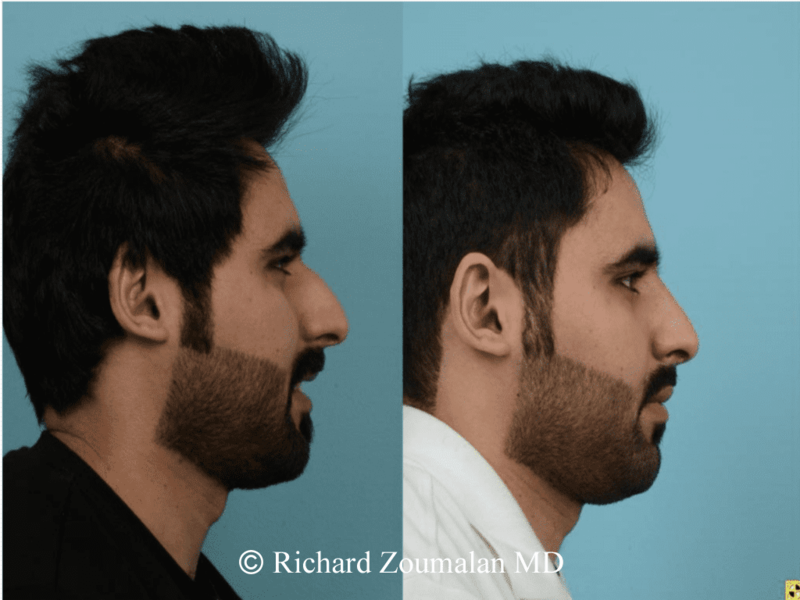 The key to Middle–Eastern Rhinoplasty is to have the nose fit the face, so that the nose looks natural and not fake. Most noses need some reduction of cartilage and bone. However, some noses need to have material added on. The Middle-Eastern nose usually needs a minor lift of the tip. 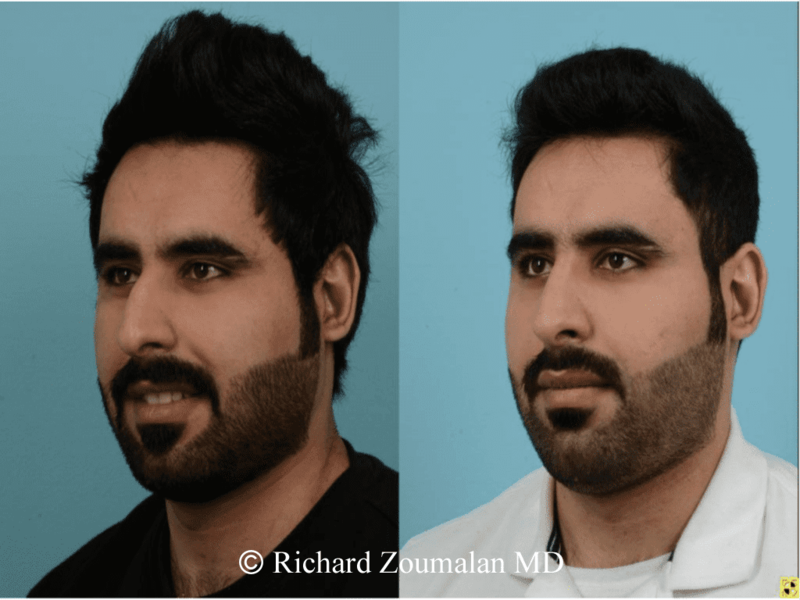 Dr. Zoumalan can show you on a virtual imaging system what your profile can look like after surgery. For Middle-Eastern women, Rhinoplasty is a very commonly performed procedure. Patients are often seeking a nose that looks elegant and natural, and with a very feminine bridge and tip. 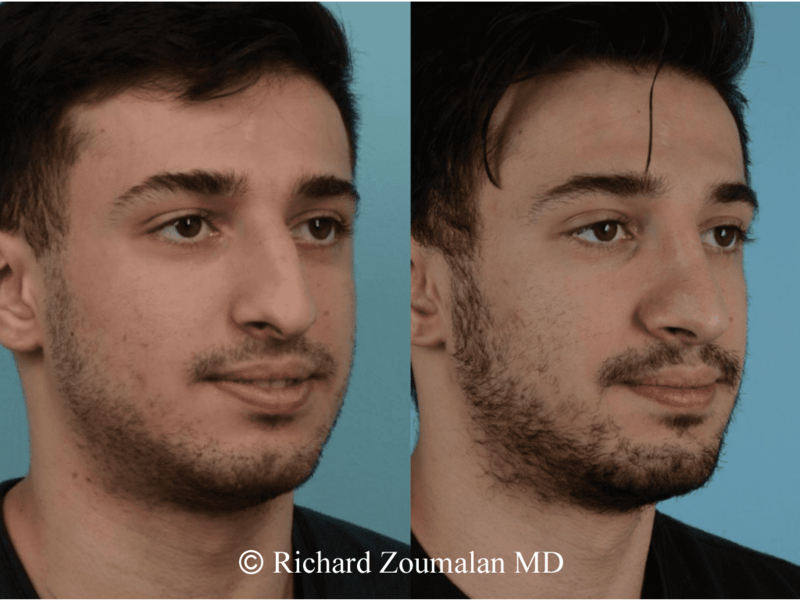 Some Middle-Eastern women, especially those who want to retain as much ethnicity as possible, prefer to have a straight dorsum, and not a “scoop.” This is very important for you to convey with your surgeon during your consultation. 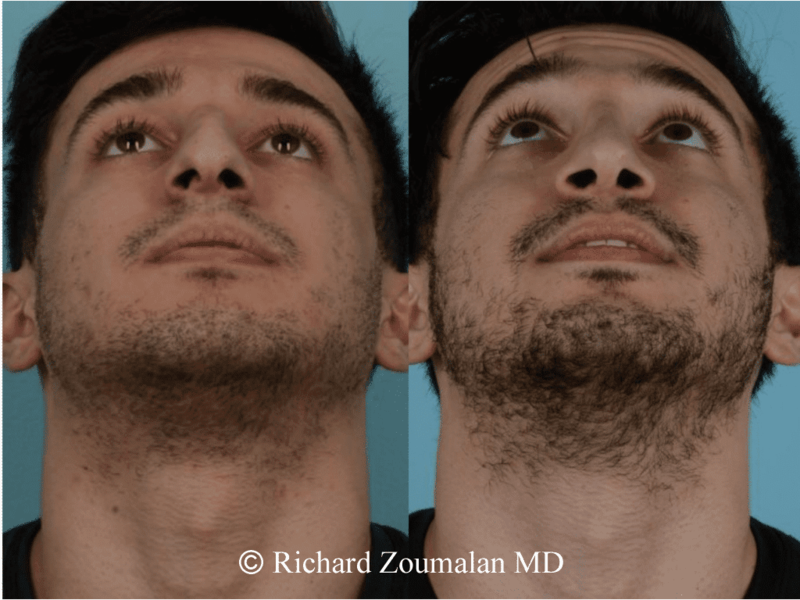 Dr. Zoumalan makes this easy by performing a simulation with you during your consultation. He will take your photos and then use a virtual surgery system to show you what your nose and face can look like after surgery. 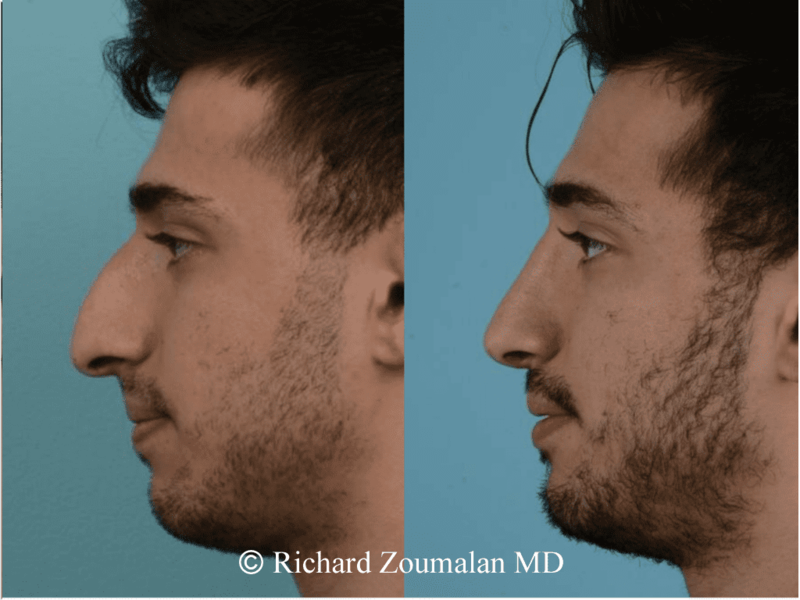 The key to a natural looking Middle-Eastern Rhinoplasty is to be conservative. Removing too much tissue will cause loss of ethnicity. 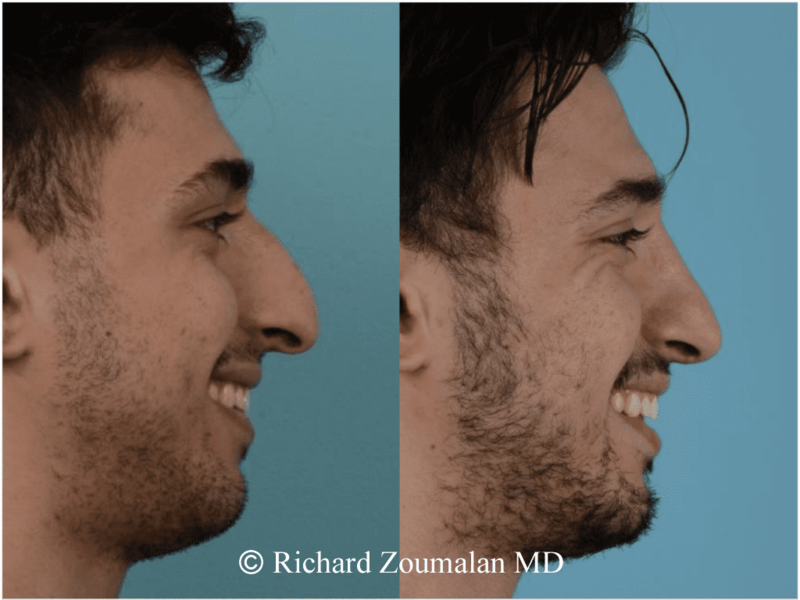 It is important for the nose to still look like it is a natural Middle-Eastern Nose. 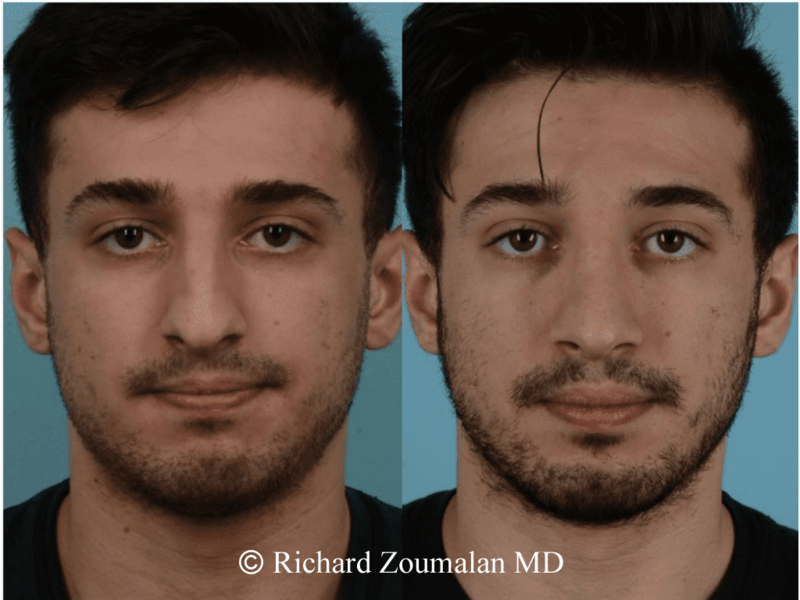 Placing an overly-scooped nose on a Middle Eastern man not only takes away from identity, but it also makes the face less masculine. For males especially, it is important to have some element of imaging during the consultation. This way, you can see how the face looks with a bridge that is too low. Maintaining masculinity and ethnicity is the key to Middle Eastern Rhinoplasty. 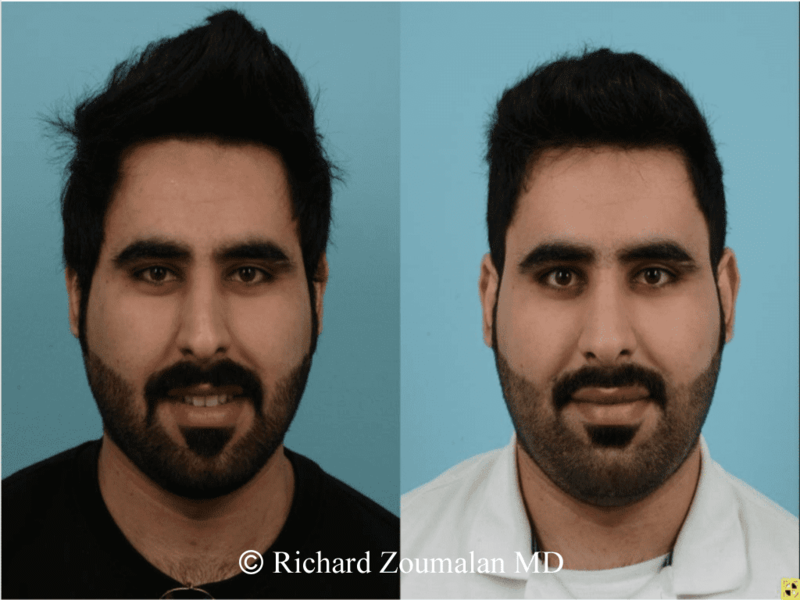 Does Dr. Zoumalan understand my goals and aesthetic desires? 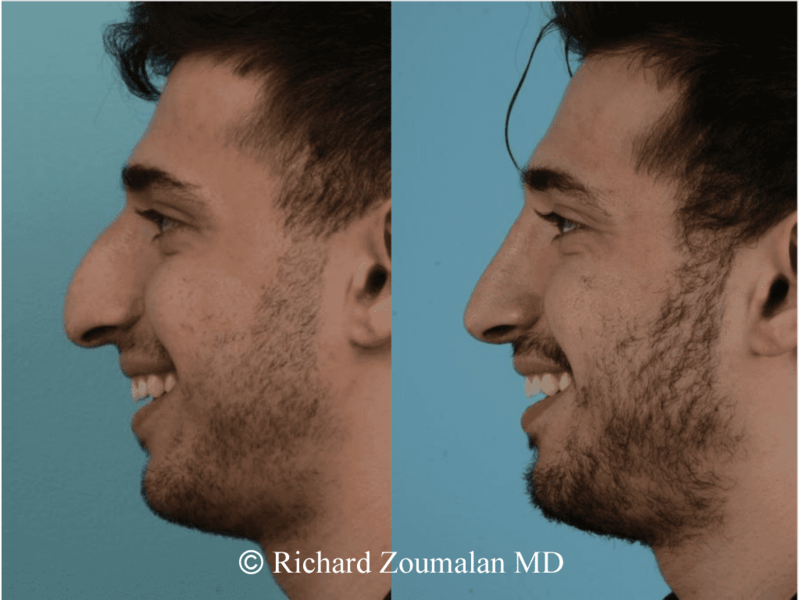 During your consultation, Dr. Zoumalan will have a thorough discussion to understand what you like and don’t like about your nose. He has extensive experience with Middle Eastern noses and will help you understand what he can do. 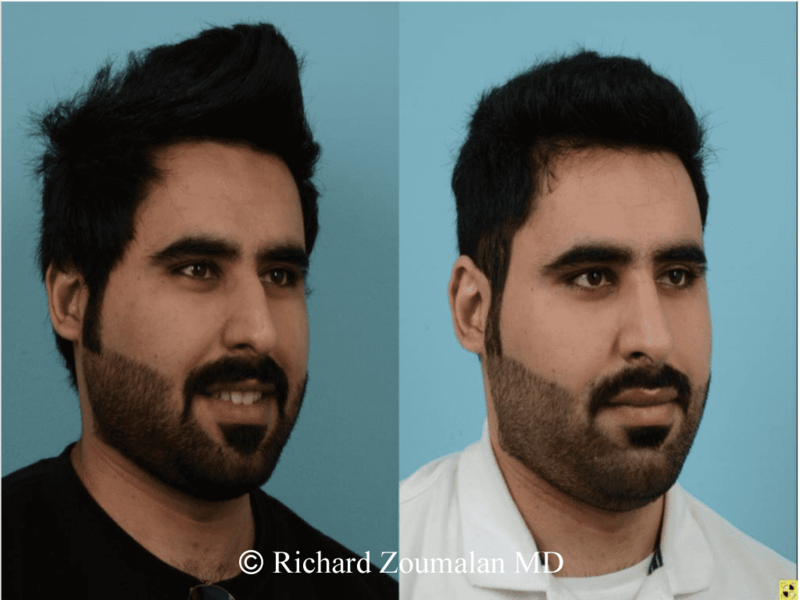 If during your consultation, you are not comfortable with the recommended approach or morphed photos, Dr. Zoumalan may not recommend surgery. If I fly in for surgery, how long do I have to stay in Los Angeles? 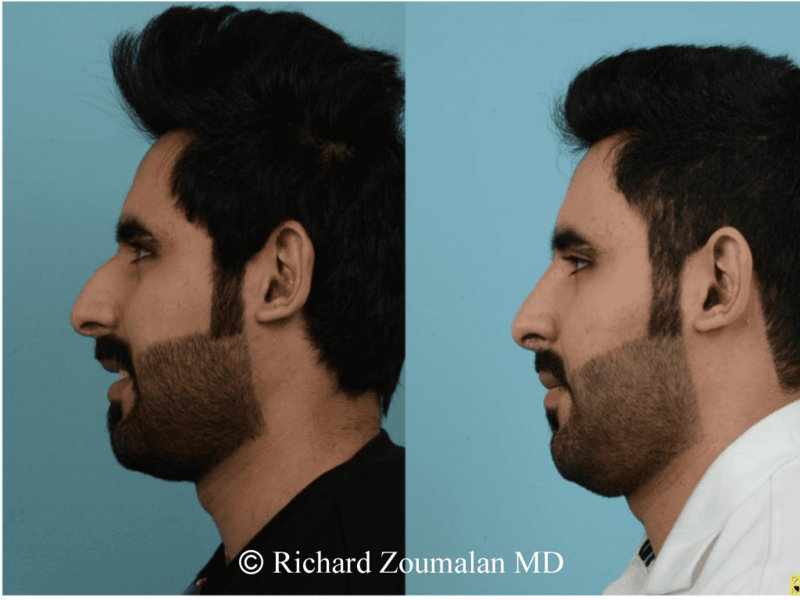 Dr. Zoumalan recommends that Rhinoplasty patients stay for 1 week in the area. We can assist you with finding a hotel or a house to rent for the week. You can find more information on our page for Out-of-Town Patients.